Creative Ways To Propose Marriage to Your Lady - Haba Naija! Every lady hope for this moment and most of all, hope it happens just ones in her life time. In Nigeria, unlike the European and Western ways, we don’t really see the significance of marriage proposals. All the African lady wants to see on her finger is a ring. It does not matter to her how the man involved goes about the proposal. Africans must learn to value moments such as these. They mostly occur ones in our lives so when we look back in memories lane, you feel fulfilled. Due to numerous beliefs and tradition in Africa and mostly Nigeria specifically, there are various traditional means of marriage proposal. The traditional African man believes in complicated formalities. One of such formalities are usually exhibited during the introduction. Whereby the family of the man has to take elders and family members from his clan and visit the family of the lady he is trying to woo. This is accompanied by gifts for her and her family. The man would be accessed morally, physically, mentally and financially to determine his capacity and state of mind before he can be accepted into their family. Then the lady being proposed to is given an audience and asked if she wishes to accept the proposal because it all boils down to her answer basically. If she does then plans for a traditional wedding will soon commence. In real essence, the whole family is involved in an African marriage proposal and not just between the gentleman and the lady alone. The opposite is the case in the Western world. It is a very intimate and mutual process at which a man chooses the perfect place and perfect time to ask that question of a life time, would you marry me? There have been numerous marriage proposals over time. They are usually straight forward and predictable so lots of people are devising new means to make marriage proposal interesting and memorable. The way you propose to a lady greatly affects the outcome of her answer. -Classic restaurants are good proposal venues. You could plan the whole event with the staff, writing the proposal on her plate so that when she finish her meal, she sees the writing on the plate. She could also order desert and then she could be served the ring. -Get the local band in your area to write a song in her name and for her only. Get them to sing to her as you make your proposal in a very romantic atmosphere. 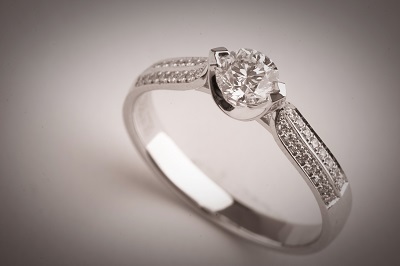 -You could also utilize her birthday as the perfect time to propose to her. You can bake the ring along with the cake. When the cake is cut open and the ring discovered, you know what to do. You could also get her family members involved in the plan up to the proposal time. -The cinema in your area is also a perfect spot. You plan with the cinema operators to design romantic graphics of her name and your proposal so that before or after the movie is played, the graphics in her name is displayed and you can propose. -Christmas is also a perfect time to propose. Buy her a present with a ring in it. Make her open it in front of you and when she discovers that it is a ring, you propose. -Take her to the place were you first met each other. Have a drawing or a postal on the wall of the street asking her to marry you. When she discovers that its her name that’s written on the display art, that’s the perfect time to pop the question. -If she like chocolates, replace a box of chocolate with your ring in it so that she can discover the ring when she opens that box to take a bite of chocolate. Make sure you plan carefully so that your marriage proposal won’t end up a disaster. This is a ones in a life time experience so it has to be as perfect as possible. There are many other ways to propose to a lady. You do not have to follow this written rules. Think of your own concept that could better suit your environment. Above all make sure your proposal is true, genuine ,also the one and only proposal you should ever make. i believe strongly that we u propose to a woman determines how she takes u thereafter.